An instant rebate of $50 per speaker has been applied! Price shown reflects price after rebate. Offer valid only through May 8! 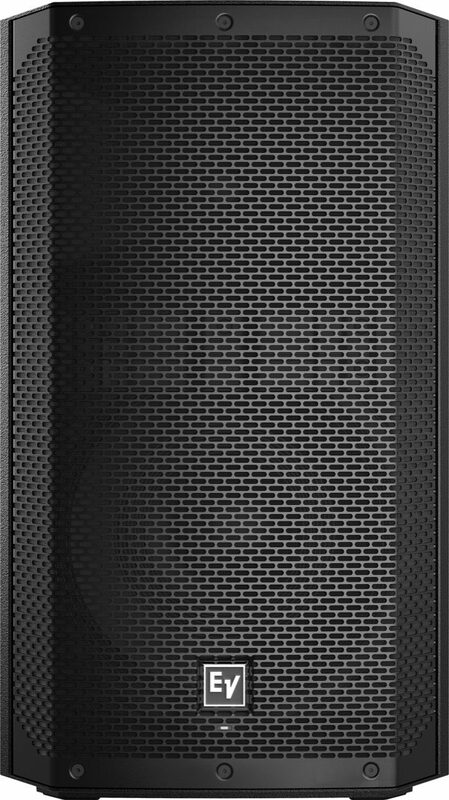 Part of the ELX200 series, the Electro-Voice ELX200-12P powered PA speaker offers professional Electro-Voice audio quality, precision control, and robust, EV-engineered components in an ultra-lightweight package -- a truly potent blend of performance and portability. Control your sound while in front of your system. 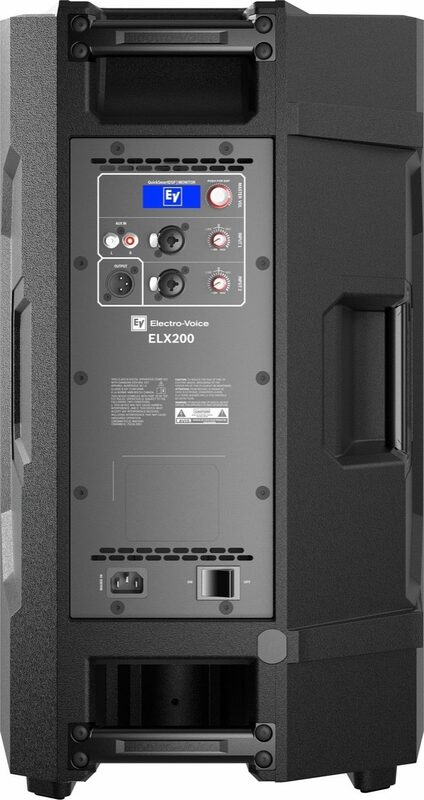 Quickly configure up to six ELX200 loudspeakers simultaneously, and receive immediate notification during critical performance conditions. Next-generation enclosures offer a step up in both styling and build quality. Full-range models feature lightweight, compact composite enclosures with internal reinforcement, designed to minimize resonance and increase rigidity and strength. With the lightest 18-inch wood powered sub on the market, and a stunning 10-inch top / 12-inch sub compact combo available to serve smaller venues, there are options available for every application. Professional-grade hardware includes three M10 threaded suspension points for forged eyebolts, integrated pole-mounts, and our proven three-handle design for easy lifting. 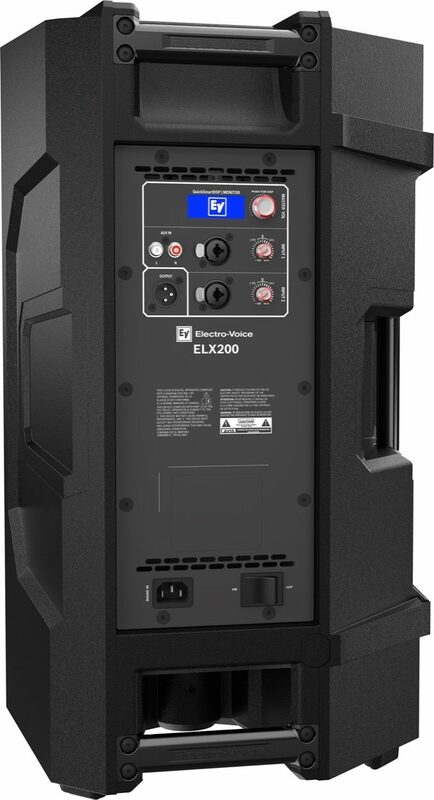 Though ELX200 is easy to carry, its tough construction and components ensure legendary EV durability and sound quality, night after night. System reliability is verified with over 500 hours of abuse and endurance testing -- far above and beyond industry norms. 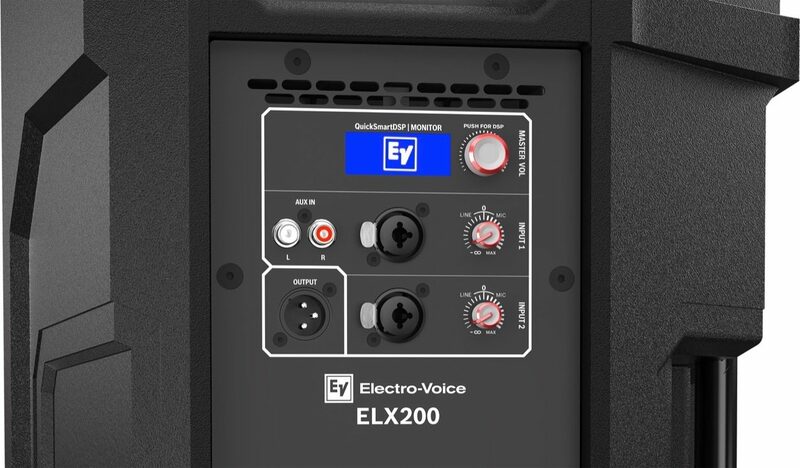 Super-efficient Class-D power amplifiers deliver distortion-free maximum SPLs utilizing high-sensitivity transducers -- all designed and engineered by Electro-Voice. Easy setup via four presets (Music, Live, Speech, Club), three-band EQ, five user-programmable presets, sub/top system-match crossovers, input level control and metering, and master volume control to optimize gain structure. The design allows for a larger waveguide, which is placed forward in the enclosure to time-align the woofer and the tweeter, providing exceptionally precise and consistent coverage -- all with deeper, tighter bass response. Sound: Sound I great, i use them i a 5 piece rock/cover band. They sound fantastic! Feature: EV did a great job umproving these with a bigger amp. Been using them for nearly 6 months and we havent made them limit yet! Ease of Use: Super easy, basically plug and play. You can controll them with the EV app to. This would be great for a DJ or someone using these without a mixing board. Quality: These seem very reliable so far. Its EV so you know its quality. However, on one of the cabinet's I recieved, the LED light on the front of the speaker didn't work. Not a huge deal, but I sent it back and zZounds sent me a new on in just a couple days! Value: I think its a great value. Nice to know that my speakers won't clip or get to hot. I know $599 is a lot of money, but these are worth it, and with 12 months to pay its not that bad! Manufacturer Support: They were great. The LED on one of the cabs didnt work. They were more than happy to take care of it, but zZounds just replaced it for me. Almost hassle free! The Wow Factor: They look as great as they sound! Also, they are pretty light to! I can easily grab 2 at once and carry them into the club. Overall: I run sound for my rock cover band. I upgraded to these from the ZLX. I am so glad I did! If you are wondering if they are loud enough or if they are louder than the zlx, the answer is yes. However, not a ton louder. What is great though is that at high volumes the dont clip, like ever. I have been using these for almost 6 months now and I havent made them limit once, compared to my Zlx that limited every show a lot. The sound quality at high volume it great also, the highs are nice and crisp but it still has pretty good low end for a 12 inch speaker (I use a sub with mine). I honestly dont have any complaints about them right now. I think they are a high quality EV product and will last a long time.